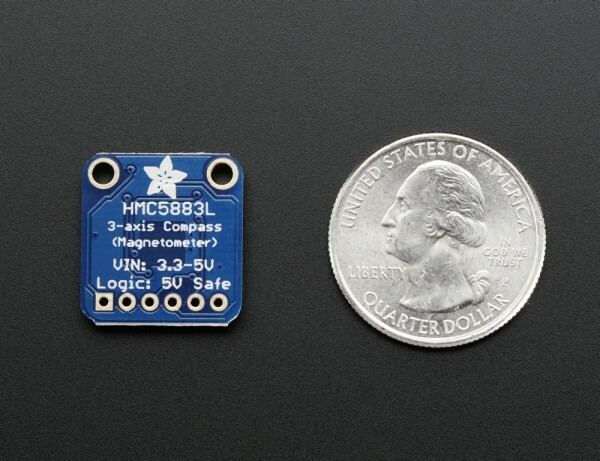 NEW PRODUCT – Triple-axis Magnetometer (Compass) Board – HMC5883L « Adafruit Industries – Makers, hackers, artists, designers and engineers! NEW PRODUCT – Triple-axis Magnetometer (Compass) Board – HMC5883L – He told you “Go West, young maker!” – but you don’t know which way is West! Ah, if only you had this triple-axis magnetometer compass module. A magnetometer can sense where the strongest magnetic force is coming from, generally used to detect magnetic north. This is the same magnetometer sensor that is inside the LSM303. 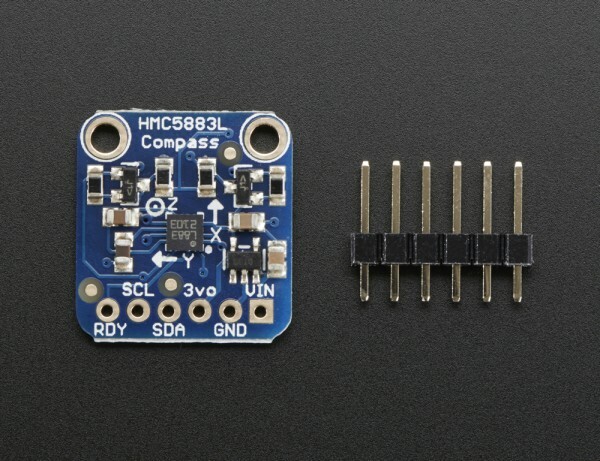 So if you want an accelerometer as well as a magnetometer, check out the LSM303 – it has basically this sensor + a nice digital 3-axis accelerometer!